Insurance Claim Process When Your Home Is Damaged In a Storm! When your home is harmed in a hail storm, it is exposed to the elements that can increase the amount of damage to your home. Most insurance companies will limit the amount of time allowed to file a claim so a sense of urgency is of the essence. For starters, be wary of insurance companies that want you to use “approved” contractors, as they may have a financial incentive to save the insurance company money at your expense. Our best information that we can give you when in the face of storm damage to your home is to hire a reputable contractor who will represent your best interests. Remember….you have paid your homeowner’s insurance, so make sure you get the maximum out of your claim by reinstalling quality products instead of the cheapest. There are so many things going through your mind after a large storm hits your neighborhood and it looks more like a war zone than a picturesque place to live. To make your insurance claim filing process a little easier here are six easy tips. 1) Record the date of the storm. Take pictures all the way around your home of signs of damage that you can see from the ground. Take the time to print off some news stories online regarding the storm hitting your area for proof. 2) Research three reputable construction companies to obtain three estimates or proposals. Ensure that you contractor is doing a full property inspection of your windows, siding, roofing, gutters, just to name a few. 3) Find your insurance policy and read it over carefully. After understanding your policy, contact your claims representative and inform them of your recent storm damage. Be sure to have all of your documentation such as pictures and articles ready to send them as well as the estimate you chose from the three reputable contractors. 4) Request your insurance adjuster be there the same day as your contractor. Your reputable contractor’s job is to ensure your insurance adjuster plays fair, and provides you with a fair assessment of your property damage. 5) Any type of damage to your home devalues it, so if you claim is denied, understand that you are entitled to meet with three insurance adjusters. Even a relatively small amount of damage to your home should result in an approved claim. Remember you pay your premiums every month! 6) When your claim is approved, your insurance company will send you two separate payments. The first payment is for the materials cost of your job. Once your job has passed a city inspection, you will have a change to approve the work done before making the final payment. Ensure that the work performed is done to your satisfaction and your contractor signs a lien waiver. Keep in mind that most state laws prohibit insurance companies from cancelling your policy for filing and Act of God storm damage claim. Most of them also cannot raise your rates because of this clause either. If you insurance companies says they are going to raise your rates if you file a claim, they have to raise everyone’s rates in your area so don’t feel threatened by the phone pitch they might give you. Get the scoop on ways storm chasing contractors cut corners on windows, gutters, and insulation. These 10 signs indicate the contractor standing in front of you is a storm chaser. Learn the criteria insurance companies use to evaluate a roof after a storm and why DIY siding projects aren't for the faint of heart. "Very happy. Lindus installed a metal roof a couple years ago, very satisfied. Guaranteed for life, no more shingles on the lawn after a wind storm." - Phil O. 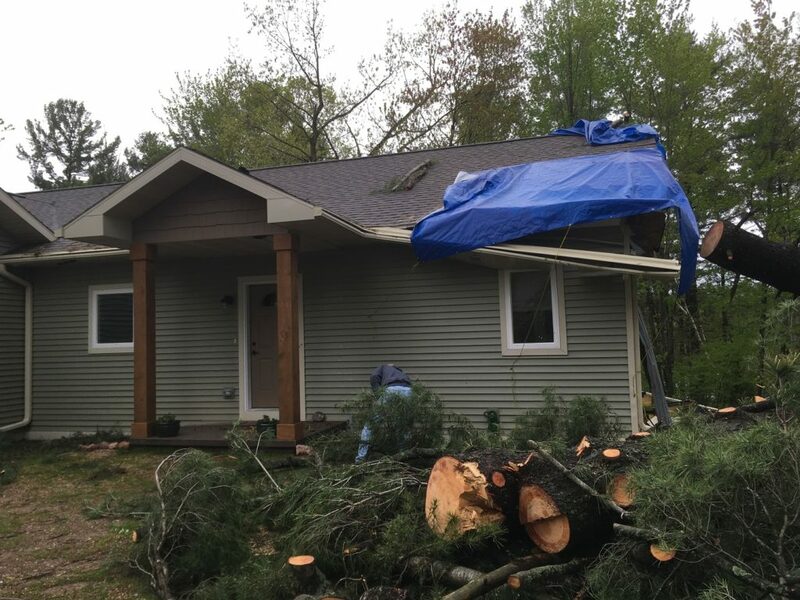 "I had storm damage a couple years ago and Lindus Construction was my number one choice to help me repair the damage done to my home. They quickly came and did an estimate on my home and then quickly replaced my garage roof. I love that the company is family owned. The customer service is excellent! I highly recommend them!" - Christy B. "We had Lindus come out due to the recent hail storm in our area. 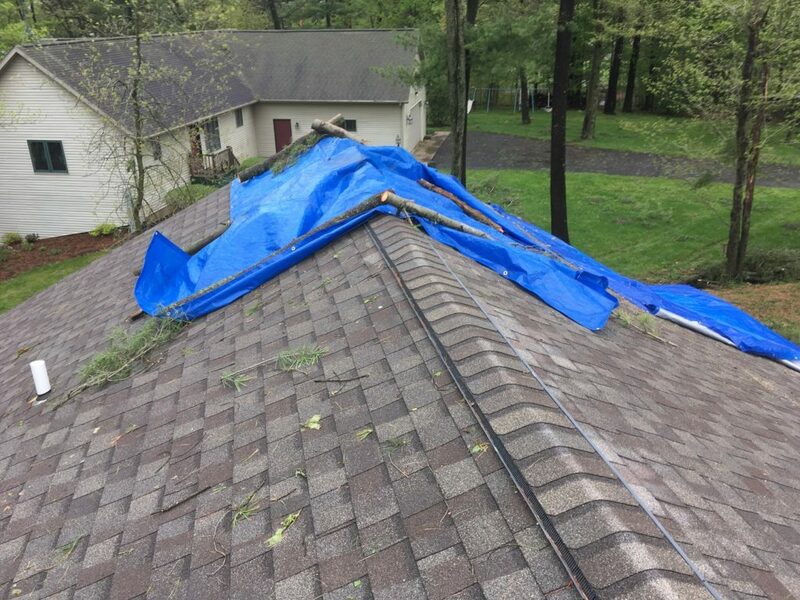 We love the LeafGuard® Gutters and Lindus helped assess the damage missed by the insurance adjuster. Very professional and everyone we dealt with was friendly." - Joe A.